SARAH LOUISE GREEN | BACK ROOM LIVE! of the world wakes, spinning on its own grease. the sawdust on my tongue. overturned and cupping the murky water. shaking limp wings and notions out of me. corner. The other corner of room 742.
at first. Turns out it’s the second. lucky bastards with a balcony. There is a painted square next to the railing. note its many happy and unhappy members. with a pink baby. What have they done. weather scatters patients into rooms. some erected especially for high-risk cases. As if our being here wasn’t enough. We come and go alone. the birds roosting in a field’s corner. somewhere under layers of ice. why your vision will continue to fail. from its throaty calls, its endless blackbirds. Sarah Louise Green lives and writes in San Leandro, CA. 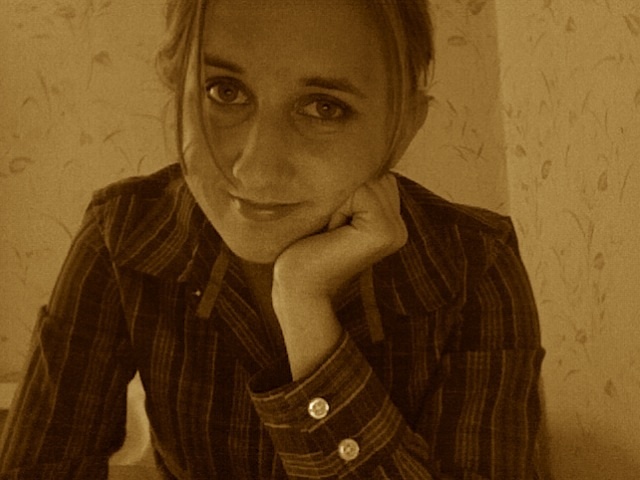 She will earn her MFA in poetry from Saint Mary’s College of California in May 2010, where she has been working with Brenda Hillman, Graham Foust, and Bruce Snider on her final manuscript, There (x), There (y).